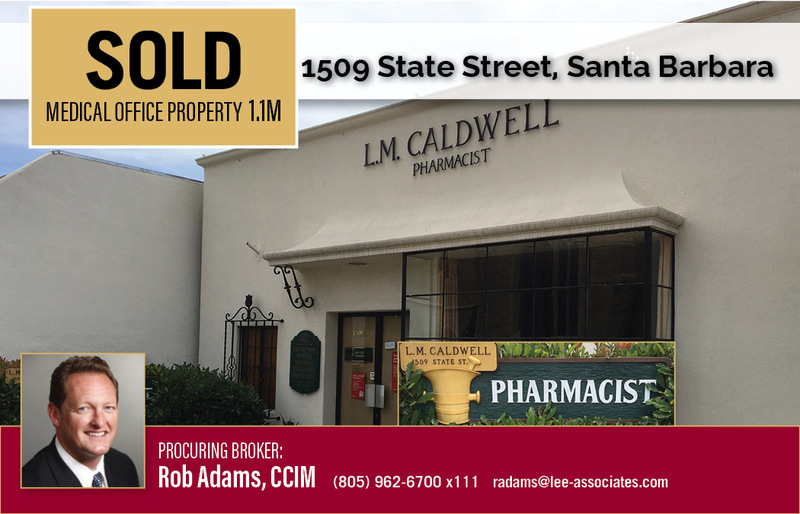 SANTA BARBARA, Calif.—May 4, 2017—Lee & Associates has completed a $1,050,000 sale of a 1,550 square-foot Medical office building located at 1509 State Street in Santa Barbara. Rob Adams with the Santa Barbara office represented the buyer in the purchase of the downtown Santa Barbara office building. The former L.M. Caldwell Pharmacy site, which closed after 70 years in business, was one of the last locally owned pharmacies in the city. The building will be the new site for local Internal Medicine practitioner.